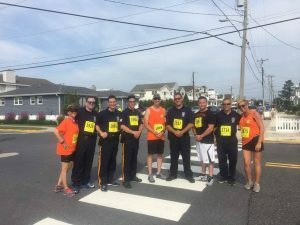 Avalon Officers run in the Run from The Sun 5K Race July 15, 2018 – AVALON POLICE DEPARTMENT N.J.
Avalon Police’s Chief Christopher, Sgt. Paluch, Sgt. Sykes, Det. Armstrong, Ptlm. Peahota, Ptlm. Ardelean, Disp. 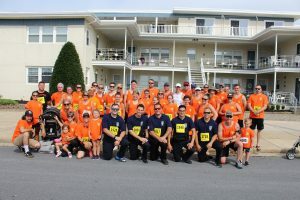 Schroter, Disp/SLEO 1 Hagner representing Team Shelley at the annual Run from the Sun 5K held in Avalon on July 15th.